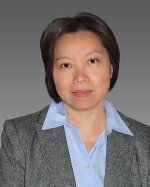 Dr. L. Ruby Leung, atmospheric scientist at Pacific Northwest National Laboratory, wrote a feature article for EOS, Transactions of the American Geophysical Union (AGU), published August 20. The report describes recent advancements in regional climate modeling through a project called Development of Frameworks for Robust Regional Climate Modeling. Leung describes a hierarchical framework to systematically evaluate climate simulations at regional scales and insights from several studies that analyzed simulations generated as part of the hierarchy to understand discrete challenges in regional climate simulations. Leung is a world-renowned leader in regional climate modeling, is co-principal investigator of the North American Regional Climate Change Assessment Program, and is a designated fellow of the American Association for the Advancement of Science, the American Meteorological Society, the AGU and a member of the Washington State Academy of Sciences. Read the full article.